Three of the protests, in Beijing, Shanghai and Xi’an, were related to the collapse last month of well-known courier, Rufengda Express (如风达快递), while the others occurred in smaller regional courier companies in Jiangxi, Yunnan and Shandong. It was widely reported that Rufengda owed close to 70 million yuan to labour supply agencies and other contractors when it formally went out of business on 12 March. 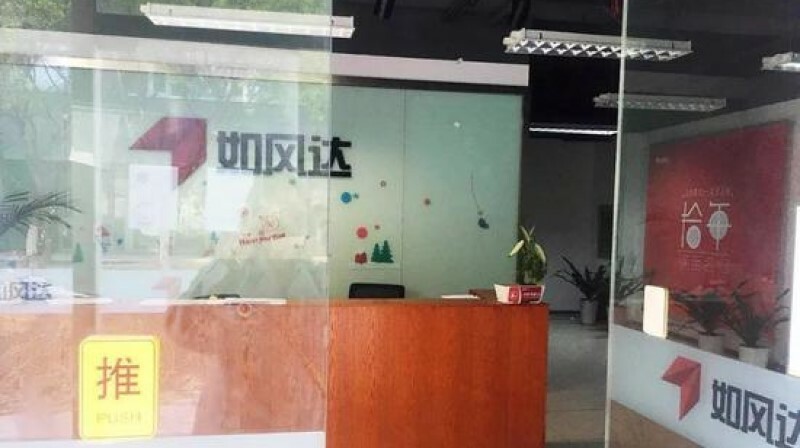 Since then, business owners from across China have besieged the company headquarters in Beijing and there have been protests by workers at regional offices but the dispute remains unresolved. The protests come as one of China’s largest logistics companies, JD.com announced a major shake up of its employee wage and benefits system. The company will phase out the payment of basic salaries and move to a commission-only system that will allegedly better reward productive employees. The company will also cut the benefits paid to employees, specifically reducing its housing provident fund contributions from 12 percent to seven percent. However, JD.com maintained that its reduced benefits package was still better than the industry standard and that the company planned to create more than 10,000 new jobs in the logistics sector this year. It seems likely however that many of those “new jobs” will be filled by workers laid off from smaller courier companies who could not survive in the increasingly competitive logistics market. The future for smaller regional couriers looks bleak unless they can find a larger company to absorb their business. A logistics expert told China Entrepreneur (中国企业家) that survival was entirely dependent on volume and network connectivity and that smaller companies simply would not be able to keep up.